It’s the crazy, hectic time of year and you just want easy with a “wow” factor. 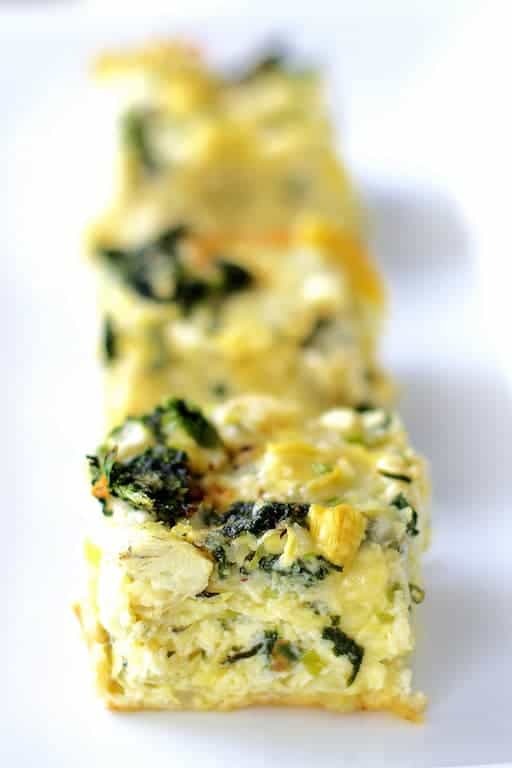 Here it is in these versatile Spinach Artichoke Squares! 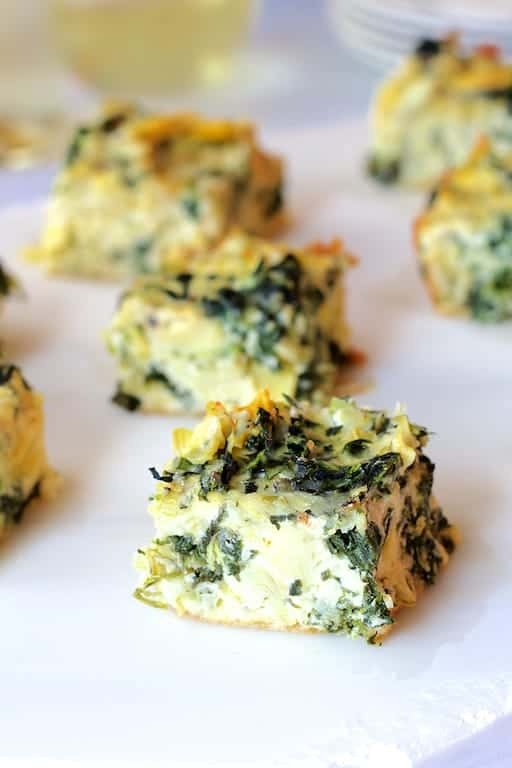 Instead of serving the classic combination of spinach and artichokes as a hot dip with chips and crackers, these baked “squares” make an elegant hot appetizer that your low-carb friends and family will love. It’s also perfect for a holiday brunch. Best of all, you may already have many of the ingredients on hand. I like to keep either canned or frozen artichokes on hand at all times. 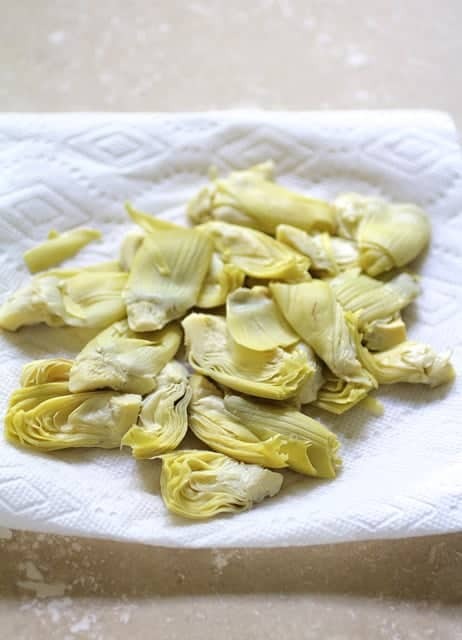 Frozen artichoke hearts will have better flavor than canned, but they’re not always easy to find and they are more expensive. Avoid using marinated artichokes in this recipe; they’re better used in something like an antipasto platter. Frozen chopped spinach is one of my favorite “convenience” products. Fresh spinach contains a lot of water and shrinks considerably when cooked. I love to use fresh ingredients whenever possible. However, I can’t tell you how many times I purchased fresh spinach for a dish thinking I had enough and it practically disappeared before my eyes! Because commercially frozen chopped spinach is already cooked, it’s easier to estimate the amount you’ll require for a recipe. Squeezing the excess water from frozen spinach is not one of my favorite things to do. A potato ricer comes in handy for this purpose. Simply drop the thawed spinach in small batches into the well of the ricer and squeeze out the water. I prefer to use Swiss or Gruyere cheese in this recipe but I have been known to clean out the cheese drawer when making these. Any combination of white cheese will work, including Mozzarella and Cheddar. 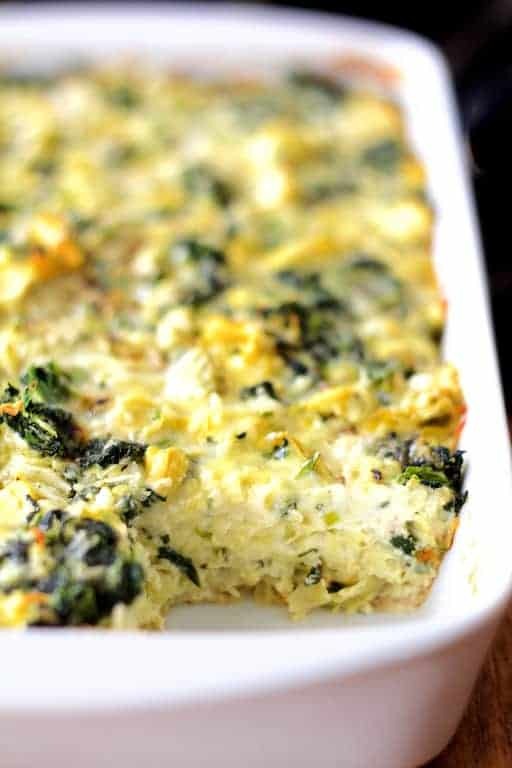 Besides being easy and delicious, this dish can be prepared ahead of time and baked at the last minute. For a spicy variation, add chopped fresh jalapeno peppers. Here’s another variation in a quiche: Crustless Spinach Artichoke and Jalapeno Quiche. Enjoy! Are they best served warm or at room temp? Thanks! 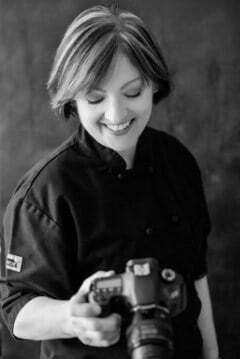 Hi, Winifred, Thanks so much for your question! They are great either way but start out hot from the oven. I don’t think they’d be good refrigerated and then set out. Let me know how they work for you. What is the net carb count on these? Hi, Kelly, I’m not sure about the “net” carb count. I did a nutritional analysis in my Mastercook program and came up with 8 carbs per serving. Thanks so much and hope that helps! Hello….these look delicious and a perfect appetizer. Is there a substitute recommendation you may have for the mayonnaise? Cottage cheese maybe? Hi, Lainey, I would increase the mascarpone/cream cheese by 1/4 cup and increase the whole milk/half-and-half by 1/4 cup. Pureed cottage cheese is a good idea, too! Thanks so much for your question and please let me know how it worked for you! I made these yesterday, and I think it needs a bigger baking pan with these proportions. In the 11×7, the spinach and artichoke mixture on the bottom was so dense that the egg mixture didn’t soak through. Great flavor though! Thanks for the feedback, Missy! I’ll retest in the very near future and adjust the recipe for that if need be. Thanks again! Can you use a flaky dough on the bottom for a crust? Hi, Barb, Don’t see why you can’t. I would blind bake it first. Thanks so much for you question and please stay in touch! I have made these before and love them. Can they be frozen and reheated? Hi, Susan, I think they should do fine frozen and reheated, as long as you do it in a conventional oven. Thanks so much and please stay in touch!